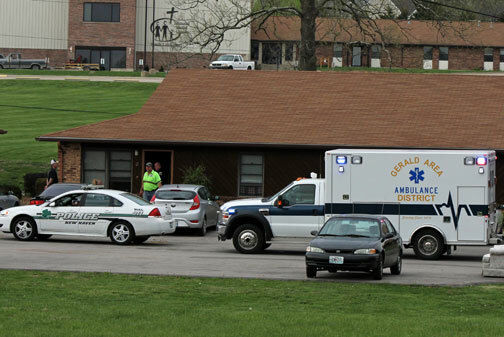 News related to fire departments, paramedics, and police officers. NEW HAVEN, Mo. - This morning at 11 a.m. New Haven/Berger Fire Crews responded to the 8800 block of Highway 100, just east of the city limits, for a first alarm - smoke in the residence. BERGER, Mo. - Sunday evening at 7:10 p.m. New Haven/Berger Fire and Hermann EMS responded for a vehicle crash on Highway VV, approximately one-half mile south of Grant School Road. JEFFERSON CITY, Mo. – The flags of the United States and the State of Missouri at all government buildings in Missouri will be flown at half-staff from sunrise to sunset on Thursday,May 15 in honor of Missouri’s Peace Officers Memorial Day, so designated by a 1996 state law. 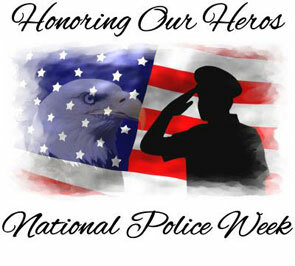 However, it was in 1962 when President John F. Kennedy signed a proclamation which designated May 15th as Peace Officers Memorial Day and the week in which that date falls as Police Week. NEW HAVEN, Mo. - Late this afternoon at 4:35 p.m. New Haven fire and EMS crews responded for a water rescue on the Missouri River across from the riverfront in downtown New Haven. NEW HAVEN, Mo. - Earlier this afternoon at approximately 2:45 p.m. New Haven/Berger Fire Crews and two New Haven ambulances responded for a vehicle crash on Highway 100, two tenths of a mile east of Highway E that left the Highway shutdown to one lane for over an hour. Pictured is Gerald Ambulance, one of three ambulances from neighboring districts who assisted New Haven after being bombarded with 911 calls. Photos courtesy of Don Neal. STANTON, Mo. 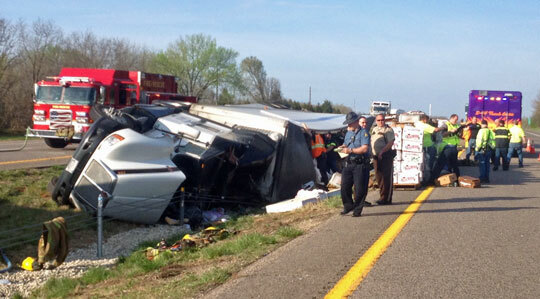 - The Missouri State Highway Patrol (MSHP) released details on how yesterday’s Easter morning fatality accident occurred that left Interstate 44 down to one lane in both directions for over seven hours. According to the MSHP, 33-year-old Virkram Shah (male) of Bronx, NY was traveling eastbound on Interstate 44 in his tractor trailer when he attempted to avoid a “wrong way driver”, travelled off into the median and overturned. 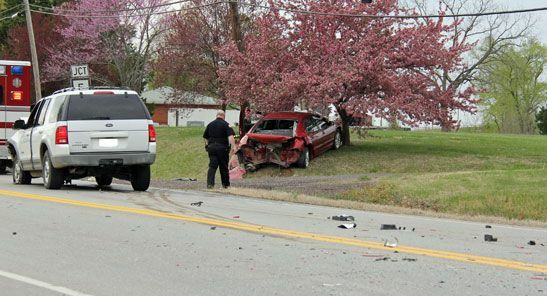 Virkram was wear a seatbelt at the time of the crash and was transported to Missouri Baptist Hospital in Sullivan, Mo. with minor injuries. NEW HAVEN, Mo. - What started as a small brush fire easily could have engulfed two nearby structures and spread into a large field had it not been for the New Haven/Berger Fire Departments quick response. NEW HAVEN, Mo. 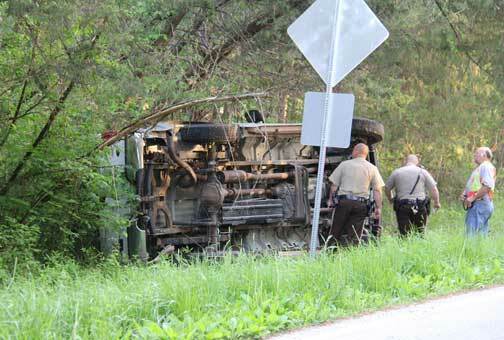 - According the Missouri State Highway Patrol, 16-yea-old Anthony Pataky of New Haven, Mo. 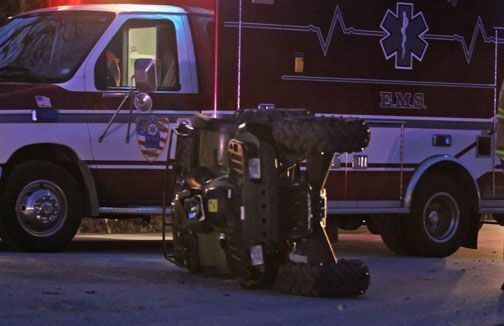 was driving a 1997 Polaris Sportsmann eastbound on Excelsior Road when he lost control, causing the ATV to overturn. Riding with Pataky was 23-year-old Amber Walsh, who sustained serious injuries and was airlifted to Mercy Medical Center in Creve Coeur, Mo. The driver did not sustain any injuries. NEW HAVEN, Mo. - Sunday afternoon at approximately 3 p.m. New Haven/Berger Fire responded for a brush fire off Highway E, five miles west of Stony Hill. 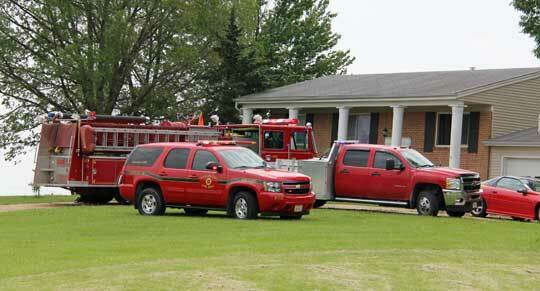 The fire was upgraded to a first alarm, pulling additional brush trucks from Hermann and Gerald Fire Departments.